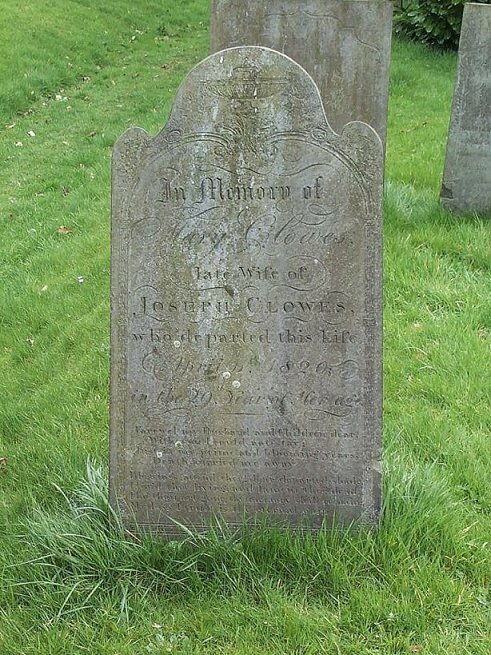 In Memory of Mary Clowes, late Wife of Joseph Clowes, who departed this life April 11th 1820 in the 29th year of Her age. Blessings attend thee! dear departed shade! My loss I trust is thy eternal gain.